We take care, we show care. 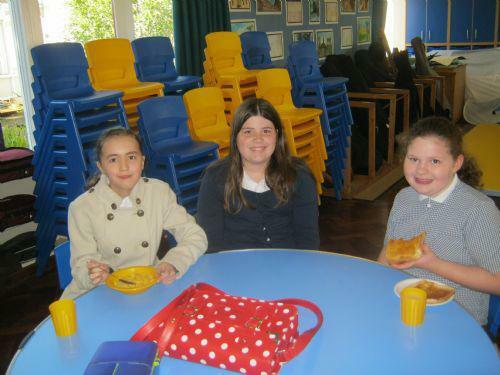 This week our Year 6 pupils are taking their SATs. They've worked extremely hard all year and we know the will try their best. 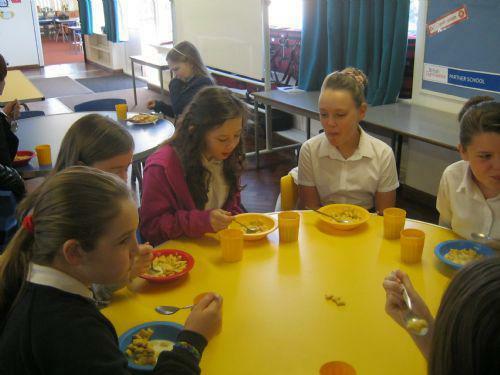 Every morning, before SATs, they're coming into school early to join us for breakfast. 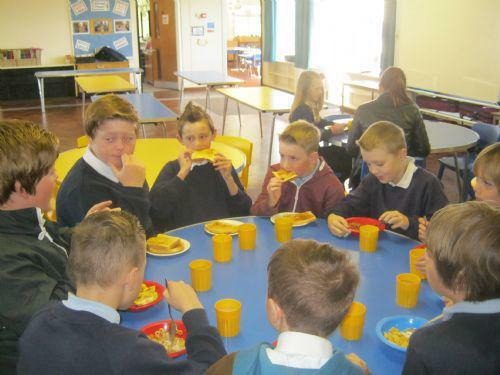 So far they've enjoyed toast, cereal and tomorrow they're all looking forward to bacon butties before they take their last test. 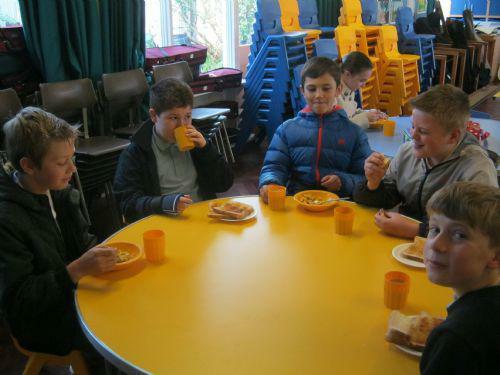 Here are some photos of them tucking into their toast and cereals this morning. Children have filmed their News reports of the events in Macbeth. Our journey through our scaled down solar system. The distance between the planets in our solar system. Classroom displays past and present. Walk to School - A visit from Strider! Rocket seeds - the results are gathered. Our Final Harvest this year! Mr Dunn From Africa's Gift visited the Y6s. Meeting with Ken Dunn from the charity Africa's Gift. School Council - What have we been up to this term? Our Sports Values and Stars!